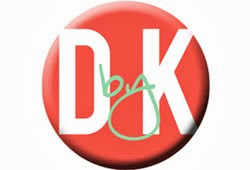 Teacher Bits and Bobs: Five for Friday!! I am in a GLORIOUS mood because today begins one WHOLE week of VACAY, baby!! YAY!! We get the whole week off next week, and on Tuesday, we leave for New Orleans! Soooo excited!! 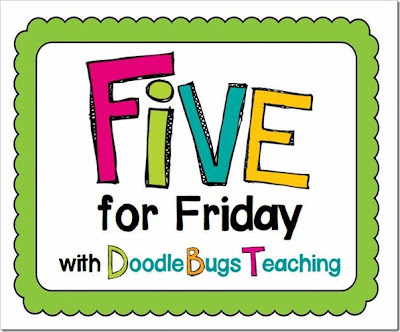 I just love Kacey's Five for Friday over at Doodle Bugs Teaching, so I'm linking up again!! Here we go...Number 1: Valentine Art! We did all kinds of fun art this week, and I even got a few pics from some of my BOY colleagues' room. Yes, that's right! I teach with 7 boys! It is really amazing! They keep just the right amount of testosterone on campus, and are basically embarrassed on a daily basis by all of our "lady talk" in the lunchroom. It is pretty hilarious! And my 3rd grade boy buddy made these AWESOME heart collages, inspired by Megan Wheeler's fabulous post, and a little prompting by me. Actually, I should call it "shaming" by me, since I came in and totally judged the art he was already doing, so he let me strong arm him into doing these!! HA! Of course, here are the famous LOVE monsters, inspired by Rachelle's post from last year. I just love love love these guys! The teeth are my favorite! Isn't that PURE genius?? I am TOTALLY stealing this idea for next year!! Number 3: Carson-Dellosa BOHO birds! 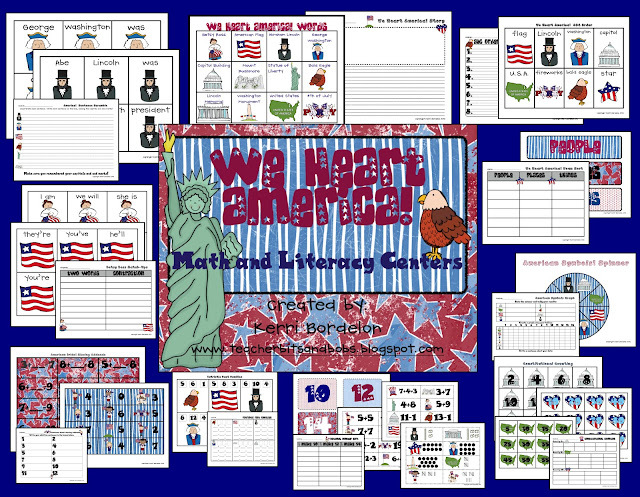 If you are looking to infuse a little Americana into your classroom in the next 2 weeks, you can click on the picture above to check these out! Finally, Party boat. I'm going to let this one speak for itself...The prompt was "If I had $100..."
That's all I got! I'm off to Soup Plantation and then my Katie's Talent Show. Happy Friday, friends! GREAT PICTURES!!! 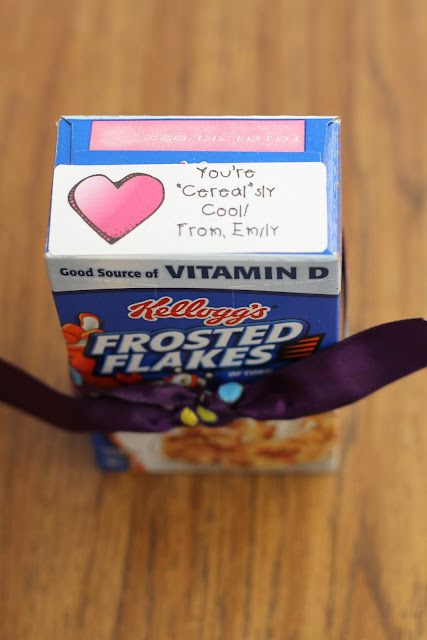 I love the heart mobiles and the cereal! BRILLIANT! Adorable!! Love all the pics:) I think I could go for a party boat!! The art projects are fabulous! The disco ball is THE BEST!! What a fun post. I just pinned a bunch of ideas for next year. Enjoy your weekend. Love the BOHO Birds! Super Cute! Heeeyyy! 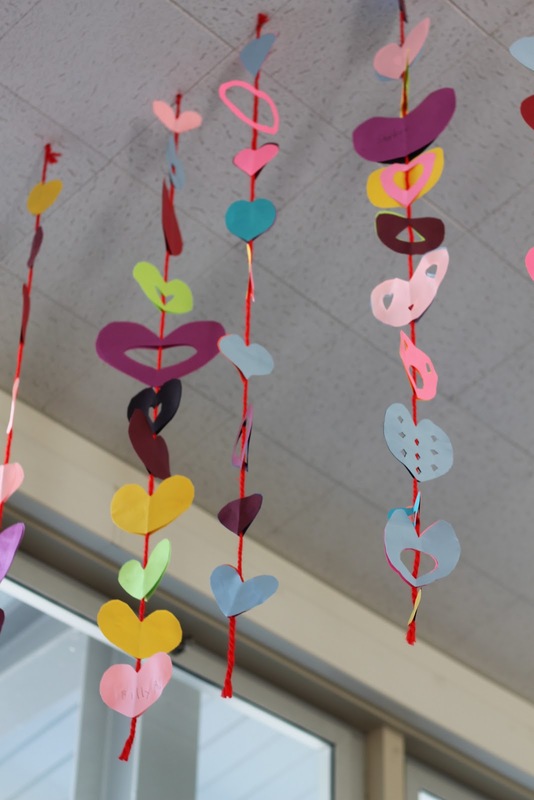 Love those little heart streamers! Thanks for the shout-out! Looks like you had a fun week and your upcoming one is about to be even better! I am jelly! I LOVE all the Valentine's Day art! Fantastic! I wish I could buy a party boat! Love that writing! Cereal-sly cute ideas!! Thanks for sharing! Love the Love Monsters! I may have to switch from Love Bugs to Love Monsters...or do both! That writing is hilarious! A party boat? Wonder where he got that idea? Five for Friday- New Orleans Style!! 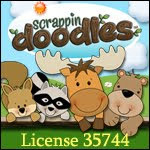 Bodacious Blending at Blog Hoppin! !